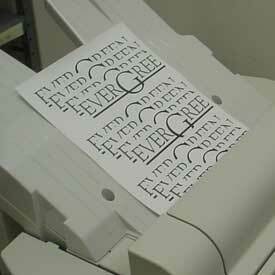 The Copy Center can handle a variety of your copying needs. We offer black & white, as well as color copies on standard paper sizes up to 11 x 17 inches. We also have a small selection of paper colors and thickness. Bindery services include cutting, 3-hole punching (drilling), folding, book-binding and laminating. Most orders are completed within 24 hours, with the exception of peak volume periods during the beginning and end of the academic quarters. You can email your copy request to the Copy Center at copycenter@evergreen.edu. Please note, this service is limited to Word, Excel and .pdf files.